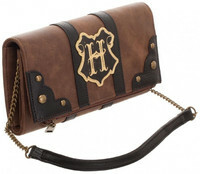 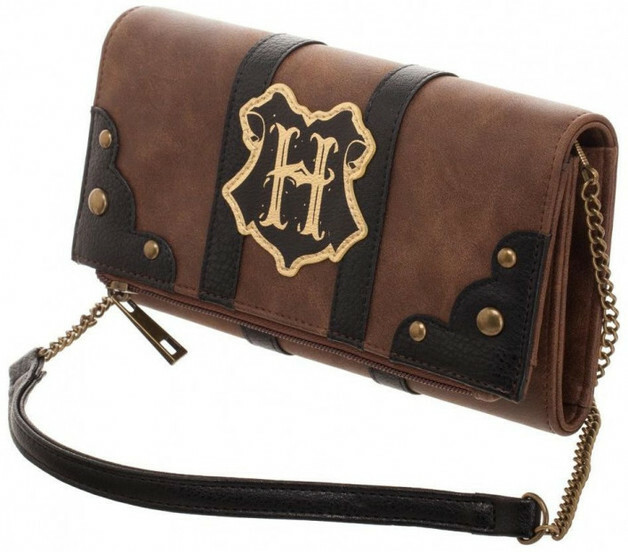 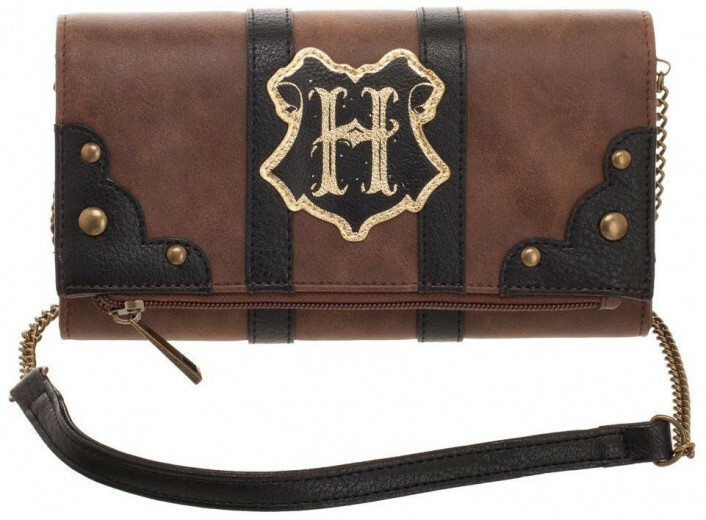 Experience the Hogwarts Trunk Inspired Foldover Clutch from Harry Potter. 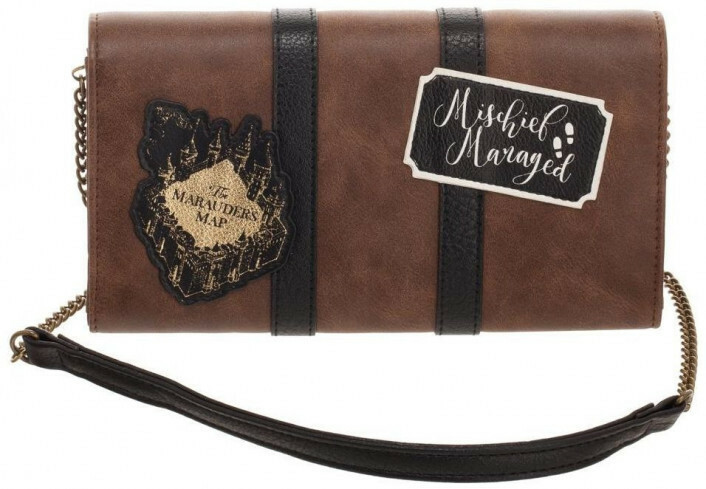 Designed to look like a traveling trunk, this Marauder's Map themed clutch will fool many. 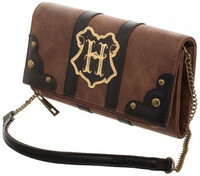 It has a detachable 48" chain strap with a snap closure. 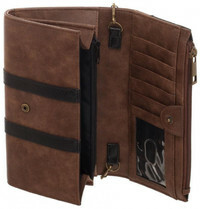 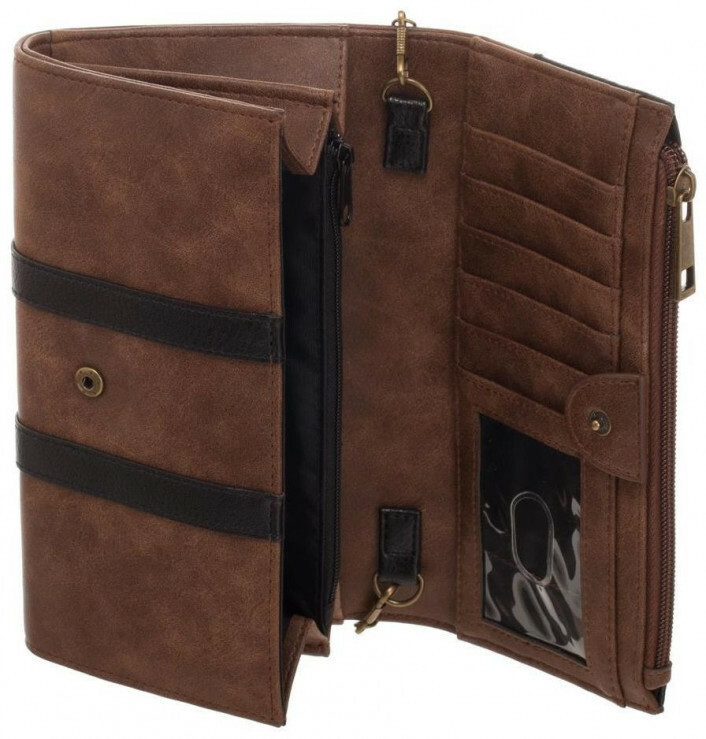 Inside are 2 zipped pockets, 2 billfold sections, 13 card slots, and 1 clear ID window.